It’s that time of the year again! 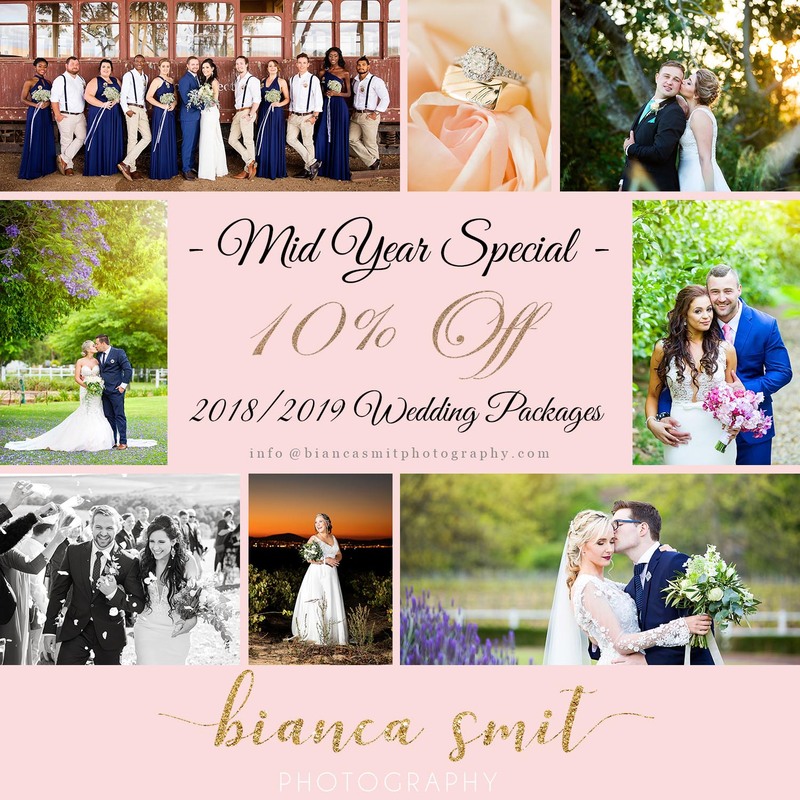 Bianca Smit Photography is running it’s mid year special! A massive 10% off your 2018/2019 wedding packages if booked before end of June 2018. Dates available for 2018 – Aug -18, September – 1, 29, October – 13, November – 24, December – 8, 22, 29. For 2019 dates and availability, please email us at info@biancasmitphotography.com for more information.